​A great dj can mean the difference between an amazing evening or just another event. We want you to have all the information you need to make this important decision—so here are some of the most common questions we’ve heard over the past decade, along with our candid answers. If you don’t find what you’re looking for, please don’t hesitate to contact us. I’VE BEEN TO EVENTS WHERE THE DJ IS CHEESY AND THE MUSIC IS PREDICTABLE. DO WE HAVE TO WORRY ABOUT THAT? Absolutely not! 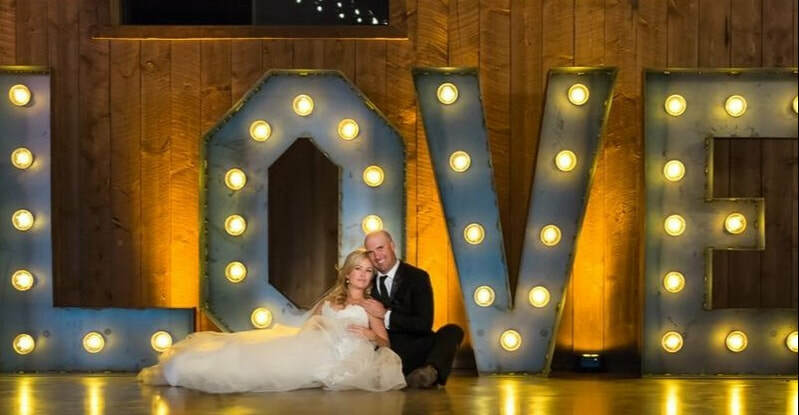 We understand that you chose a Colorado mountain venue because you wanted your event to be unique, elegant and fun. Our djs are professional, fun and inspiring—never scripted or cheesy. SHOULD WE TIP OUR DJ? ​It's up to you. Our DJs are well-compensated so tipping is not required but of course appreciated! The best way to show your appreciation is to offer your DJ a 5-Star review on WeddingWire, Facebook or theknot. DO YOU HAVE COCKTAIL HOUR AND DINNER MUSIC THAT’S NOT ELEVATOR MUSIC? Yes! We have a rich library of cool, eclectic cocktail and dining music, and will discuss your preferences in advance to make sure our selections meet your expectations. HOW CAN WE PREVIEW YOUR DJ SKILLS? We are happy to provide references from past brides and grooms and set up an interview with your potential dj. Or you can check out our EXCELLENT reviews on weddingwire + theknot.com Unfortunately, due to privacy concerns, we do not have the right to invite future clients to our current clients’ events. CAN I MEET MY DJ BEFORE I DECIDE TO HIRE HIM? Of course! We encourage face-to-face meetings and client-dj collaboration in advance of every event. That said, we work with out-of-state clients all the time and a Skype meeting or phone interview is also possible. CAN YOU PLAY SONGS FROM OUR ITUNES, SPOTIFY OR PANDORA PLAYLIST? Yes. We love to combine your guidance with our years of experience in motivating crowds on the dance floor! Using our helpful online forms you let us know your preferred musical stylings and we guarantee to have them ready at your event (assuming they are available for download, if they aren’t already in our massive library). Yes. We are covered by a policy of $1 million in liability. CAN WE HAVE A “DON’T PLAY” LIST? DO YOU ALSO ACT AS OUR MC (ANNOUNCING TOASTS, FIRST DANCE, CUTTING OF CAKE)? Yes. Our djs plan the evening with you in advance and then walk you and your guests through every step of your event. But if preferred, we can be as minimally involved on the microphone as you so desire. DO YOU PROVIDE WIRELESS MICROPHONES FOR OFFICIANTS AND OTHER SPEAKERS? Yes. Top-quality wireless microphones are available. DO YOU HAVE EXPERIENCE WITH JEWISH TRADITIONS? WILL MY DJ DRESS ACCORDING TO THE DRESS CODE OF MY EVENT? WHAT TIME WILL THE DJ ARRIVE TO OUR EVENT? We’ll arrive a minimum of one hour prior to the contracted start time to set up. IS THERE A CHARGE TO HAVE YOU SET UP EARLY, EVEN IF YOU WON’T BE PLAYING MUSIC? If you require us to be there more than an hour early to set up, we charge half of our hourly rate. WHAT DO YOU NEED THE VENUE/CLIENT TO PROVIDE? A table, skirted or with tablecloth, near the dance floor with electricity within 50 feet of dj area. If outside, we require ample shading, a table, power supply and protection from inclement weather for the dj and dj equipment. DO YOU NEED TO SEE THE ROOM YOU’LL BE WORKING IN BEFORE THE DAY OF MY EVENT? No. Our djs are trained professionals, able to work with virtually any space. WHAT IS THE FEE FOR DJ SERVICES? Our base packages provide four hours of continuous dj airtime for $1,200. Along with a professional dj equipped with tens of thousands of songs and a state-of-the-art sound system, our packages include a cordless microphone for toasts, lights to illuminate the dance floor, and all time required for travel, set up, and strike. Half hour increments are available for $150 for longer events. For off-peak dates discounted pricing is often available. WILL OUR DJ NEED A BREAK? IF SO, WHAT HAPPENS DURING THIS TIME? Music plays continuously. If a meal is offered, your DJ will queue up a few songs that will play continuously, eat quickly, and then return to his station. HOW MANY HOURS WILL OUR DJ PLAY? That’s up to you! We’ll play ‘til the sun comes up if you like. DO YOU HAVE A BACKUP PLAN IN CASE OF DJ ILLNESS OR FAMILY EMERGENCY? While these instances are extremely rare, we always have an extra DJ on standby. DO YOU HAVE A BACKUP PLAN IN CASE OF EQUIPMENT MALFUNCTION? Our equipment is state-of-the-art and carefully maintained—but we always have a backup system, too. HOW FAR AHEAD SHOULD WE BOOK YOUR SERVICES? 6 months is the minimum for our best djs —and it’s best to book a year or more in advance for the owners, Fred and Erik. CAN WE CHANGE OUR BOOKING TIME WHEN WE GET CLOSER TO OUR EVENT DATE? You are welcome to adjust your times prior to your event; our base packages offer up to four hours of continuous dj airtime. We use an invoice to confirm all details of your event. WILL YOU PUT UP A BANNER OR SIGN? Never! Just non-intrusive business cards placed neatly on our table. WHAT IS YOUR DEPOSIT REQUIREMENT? One Month prior to the event date.